Strengthening Innovation Systems. Handbuch von Bernd Kadura, Joachim Langbein, Kerstin Wilde, Verlag Dr. Kovač 2011, 246 S.
This does not only apply to industrialised countries, but holds true for emerging economies and developing countries as well. 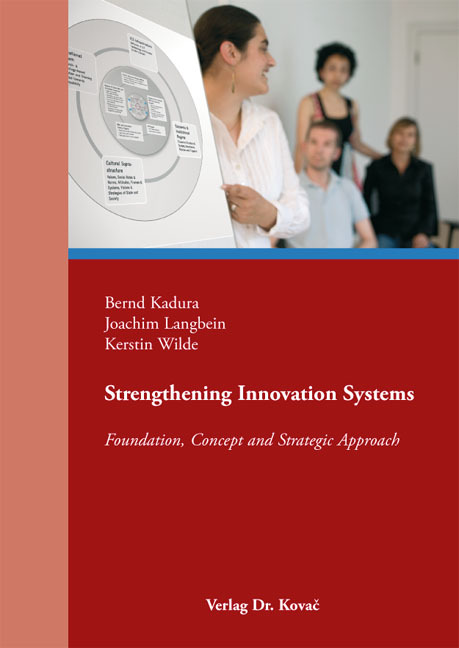 This manual provides policy makers, policy shapers and implementing agencies with guidance for the systematic analysis of deficiencies and synergy potentials within the innovation system (IS). It also covers the design, monitoring and evaluation of promotional interventions. A specific reference strategy for IS promotion in the framework of International Development Cooperation is presented – deduced from the challenges typically faced in emerging economies and developing countries.